Truck rentals registered a fall of 2.5-3% on trunk routes during August due to inadequate cargo. Freight rates fell 1.5% each in July and June. Truck rental on Delhi-Mumbai-Delhi round trip on a 15-tonne payload truck was Rs. 85,100 on September 1 when compared with August 2 rate of Rs. 87,300. Delhi-Chennai-Delhi round-trip saw 3% fall to Rs. 133,500 from Rs. 137,600 and Delhi-Kandla-Delhi trip rental fell by 2.5% to Rs. 66,600 from Rs. 68,300. While diesel price was hiked by Rs. 2.67 per litre September 1, there could be a price revision by middle of this month as there has been a slump in international crude price in the past few days. If diesel price is cut by about Rs. 2 per litre, it could benefit the trucking industry and help improve the fleet utilisation, which has been hit over the past three months due to paucity of cargo for the return trip. IFTRT observed that the implementation of GST would bring down prices by 7-9%. “Road transport will become more efficient and its productivity may go up by 30-40%. So, transportation cost may also come down. 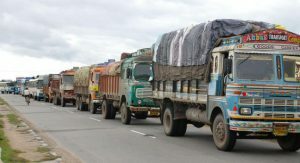 GST regime may also bring tax evaders in this segment under the tax net as it would be difficult to ferry untaxed and under-reported cargo,” it added. Meanwhile, there has been a sudden contraction in M&HCV (truck) sales in the past few months. 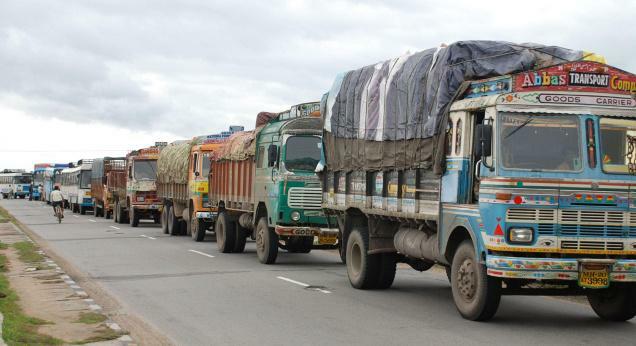 While industry analysts point to factors such as reducing replacement demand and weak cargo from industrial sectors among others, IFTRT noted that trucking industry was analysing the post-GST impact before purchase of new trucks.